Let’s face it, when it comes to money, sometimes it’s not how much you make, it’s how much you save. And believe it or not, you can save a lot, working from home as a Medical Transcriptionist/Healthcare Documentation Specialist. Yep, I am talking five figure savings here. 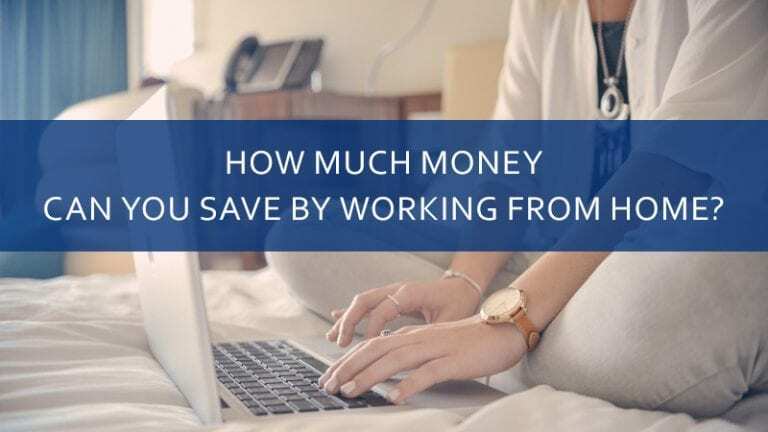 How much money can you save by working from home? I want you to meet someone. This is Betty the MT/HDS. Betty lives in a suburb of Edmonton with her husband and a three-year-old son. Betty’s house is 2,000 square feet, and she drives a 2011 Ford Fusion. About a year ago she left her office job in downtown Edmonton and started working from home as an MT/HDS. Let’s see how much money Betty the MT/HDS saved working from home over the year. This is a big one. According to the Stats Canada, an average Edmontonian commutes 17 km to work one way. That is nearly an hour of travelling to work daily. That’s costing a lot of money. As per CAA Driving Cost calculator, the gas required for simply driving to work in Betty’s Ford Fusion would cost her approximately $1,046.69 per year. Throw in expensive parking in Downtown Edmonton, that, according to the City of Edmonton Official website, starts from $350 per month, and you are spending over $5,246 on your commute annually! Oh, and don’t forget about good old car maintenance. Telecommuting decreases the mileage on your car, which means less maintenance and repairs and lower insurance payments. In one year of working from home Betty the MT/HDS saved approximately $1,046.69 per year on gas and $4,200 on parking. Good job, Betty! Betty works from home, and she has a flexible schedule, which means that she can keep an eye on her son. Giving that up would mean spending on average $990 monthly on a daycare, which adds up to as much as $11,880 per year. Let’s face it, eating out and buying coffee can add up fast. Even though Betty the MT/HDS was a fairly thrifty in her expenses when she was working on her office job, she would still eat out all the time. She would get a $4 Starbucks coffee three times a week, and she would have a $10 lunch out with her coworkers twice a week. It came up to approximately $130/month or $1,500 per year for eating out while working on an office job. Another reason Betty, the Transcriptionist enjoys her new career is that she is not required to “dress up” every day. According to Statistics Canada, 2016, an average Canadian spends around $1,400 annually on their clothes and accessories. If you work in a corporate environment, approximately ¾ of this money will go on your professional attire. Betty was previously spending about $100 a month on her office-appropriate wardrobe and makeup. Transitioning from working in a suit to working in jeans has saved her approximately $1,200 per year. Since a home is a primary place of business for Betty the Transcriptionist, she can deduct her home office from her taxes. She deducts part of her phone bills, heating allowance, business equipment, wifi and internet among other office required items. Betty’s home has 2,000 total square feet, and her home office takes up 200 square feet. The percentage of the home allocated for office space would be 10 percent. If expenses, such as rent, cleaning supplies, and utilities, total $6,000 per year, the deduction would be around $600. If we go conservative and just add all the expenses above, it will add up to at least $20,426 per year! This is a significant amount of money to bring to your family budget, don’t you agree? But most importantly, telecommuters find something even greater – peace of mind and a work-life balance. And these are the things that you can’t put a price on. If you’re considering a career that allows you to work from home, CanScribe has two courses designed to train you to do that! Whether you’re interested in Medical Transcription or Virtual Assistance, both careers are currently in demand. Do you have any questions we can help you with? Begin a Live Chat with an Admissions Representative and learn how we can help you get started.